Business Mileage Log facilitates business travel mileage, tracking and calculating business travel mileage percentages for employees, employers and business individuals who use their own vehicles for business purposes. This is an easy-to-use app. Look and feel is the same as the paper version of a vehicle logbook. 1) Enter the business and vehicle details in the Settings -> Travel Settings section. Multiple vehicle entries are permitted to track the business usage of each vehicle separately. 2) Travel details can be entered for each vehicle under the Business Travel -> Travel section: a) Date b) Travel Purpose c) Speedo Start d) Speedo Finish e) Business Mileage - this will be calculated automatically. 3) Reports can be exported as csv or pdf format for any selected date range from Business Travel -> Reports section. Moreover, there will be a history section to view all travel history and, cloud backup facility on request. 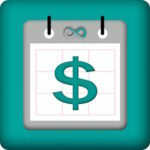 Class Fees Scheduler helps you to accurately manage your individual class fees with ease. With this app, you can view all your attendance and payment details. It also reminds you for the overdue payments and reschedules of the classes. Fees won't be deducted for the cancelled classes. The easy reporting facility will allow you to email a pdf report of the payment and attendance details. 1) Classes - Add class; Select name, start/end date, schedule, payment per class and class contact (class teacher or service provider). 2) Individual classes will be scheduled based on your start/end dates and schedule frequency. 3) Attendance - This Week tab will show the classes due for this week. Here you can change the status of your attendance. 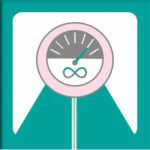 4) Attendance - The Statistics tab will display your attendance status statistics. 5) Attendance - The History tab will show all the scheduled class details with attendance status. 6) Fee Details - This Week tab will show classes and their fee status. Fee Paid # will show how many total classes are paid; Add fees will allow you to add fees for classes based on how you make your payment to the teacher. Fees Over Due # will show you a number of classes attended but not paid and a Red colour will prompt you for the payment due (overdue payments - attended but not paid). 8) Fee Details - The History tab will show you the payment history based on the amount and when you make the payment. 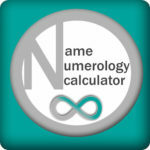 Name Numerology Calculator calculates the numerical value of your name. According to numerology, the numerical value of your name influences areas of your personal and professional development. Finding out your name number according to numerology can tell you about yourself. There are two Numerology systems used to calculate name number: Pythagorean Numerology and Chaldean Numerology. The Chaldean Numerology is older, but the Pythagorean Numerology is modern and more popular. This free version only offers one option, which is "Chaldean Numerology", while the paid version offers both of these as well as allows you to input number as part of your name.